Change your environment, change your life. Ben Hardy's book is a prescription for excellence and contains the hidden keys to success. If you want to get more done, don't worry about willpower--focus on motivation. Challenging the dominant view of self-control as a muscle. Benjamin Hardy reveals that productivity is really about clarity and commitment. We rely on willpower to create change in our lives...but what if we're thinking about it all wrong? 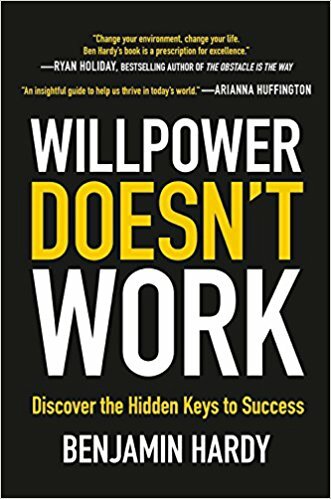 In Willpower Doesn't Work, Benjamin Hardy explains that willpower is nothing more than a dangerous fad-one that is bound to lead to failure. Instead of "white-knuckling" your way to change, you need to instead alter your surroundings to support your goals. This book shows you how.